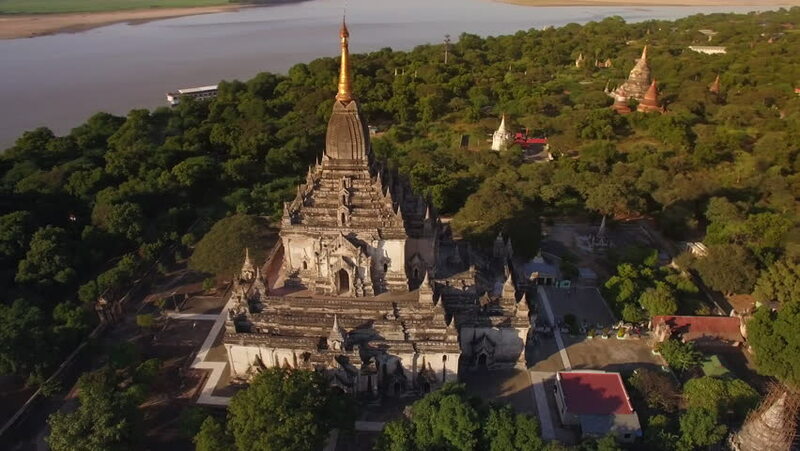 Bagan, Myanmar (Burma), aerial view of ancient Gawdawpalin temple and pagodas at sunset. 4k00:18PORT SUNLIGHT, MERSEYSIDE/UK - JUNE 11, 2015: The Dell and Lyceum in Summer. The village contains 900 Grade II listed buildings and was declared a Conservation Area in 1978. 4k01:164K aerial drone shot of Betong district, Yala, Thailand, the border end of Southern city, showing golden temple pagoda at noon time backward move.